The gift of a ride is both imaginative and thoughtful. 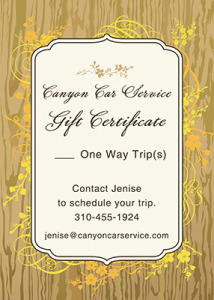 Contact Jenise today to purchase a one way or round trip fare. A gift certificate will be made up and sent to you asap. For occasional info on our service.